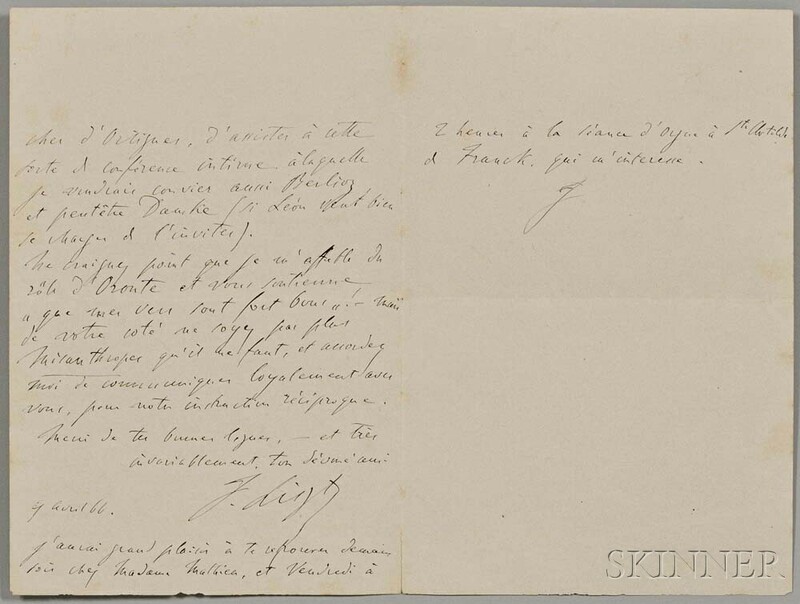 Liszt, Franz (1811-1886) Autograph Letter Signed, 9 April 1866. Wove bifolium sheet inscribed over two pages with an additional two lines on the third page. To Joseph d'Ortigue (1802-1866), arranging a meeting with Hector Berlioz. Joseph d'Ortigue was one of the most prolific and wide-ranging music critics in Paris during the mid-19th century.